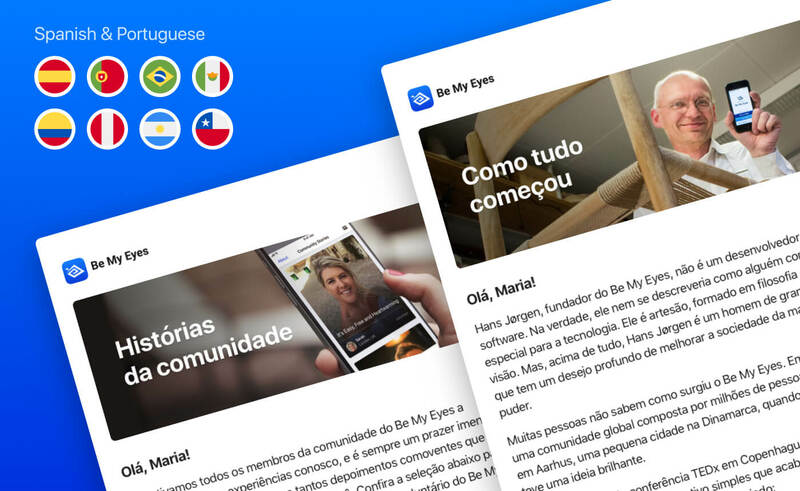 Be My Eyes' introduction emails are now translated to Spanish and Portuguese with the help of our friends at Latinlingua. Image displaying two Be My Eyes introduction emails; one in Spanish and one in Portuguese. In the upper left corner the words "Spanish & Portuguese" are displayed with the flag icons of Spain, Portugal, Brazil, Mexico, Colombia, Peru, Argentina, and Chile. 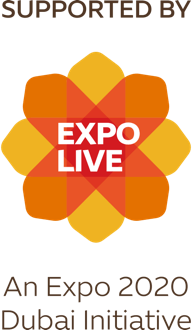 With the help of our friends at Latinlingua, our introduction emails are now translated to Spanish and Portuguese. Right behind English, Spanish and Portuguese are two of the most frequently spoken languages amongst both blind and low vision Be My Eyes users as well as volunteers. To uphold receptivity, Be My Eyes strives to offer our emails in more native languages in the future. The assistance users receive through the app and the information or updates they receive via email must be accessible in terms of language first and foremost. This ensures comfort and ease, and makes Be My Eyes community members better equipped to use the app. Latinlingua is a Certified B translation company based in Buenos Aires, Argentina. Their mission is to help the world understand each other, using language as a force for good. You can learn more about Latinlingua, who they are and what they do by visiting the Latinlingua website.